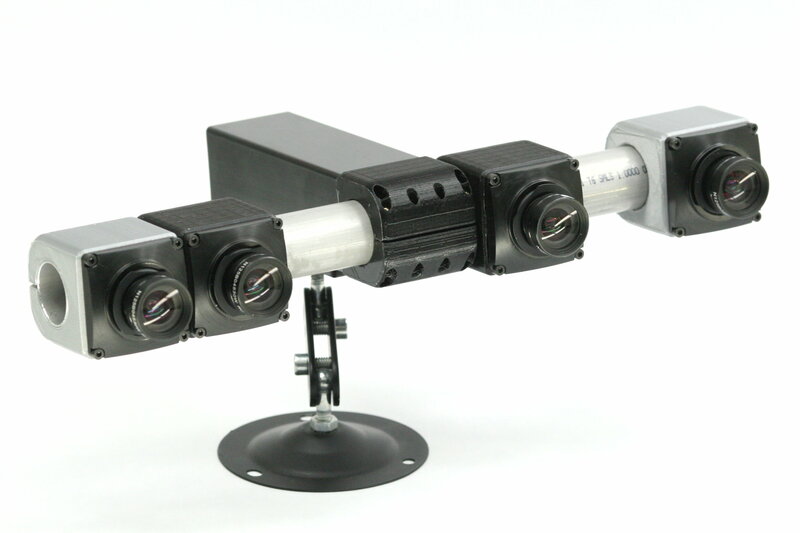 MNC393-XCAM is a Quad-sensor Stereo Camera. 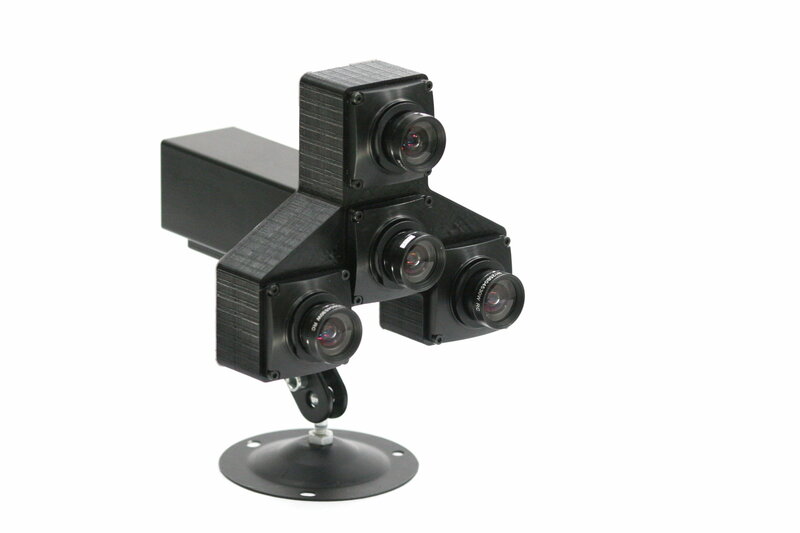 Eyesis4Pi-393 is the newest generation of the full-sphere multi-camera systems for stereophotogrammetric applications. The system is calibrated to compensate for optical aberrations allowing to preserve full sensor resolution over the field of view. Distortion calibration is performed for precise pixel-mapping to automatically stitch images into panoramas, and also for photogrammetry and 3D reconstruction. There are 24 x 5MPix sensors in the camera head, resulting in 120 MPix image acquisition. Panorama image resolution after stitching is 64 MPix, the equirectangular projection is 14000x7000. 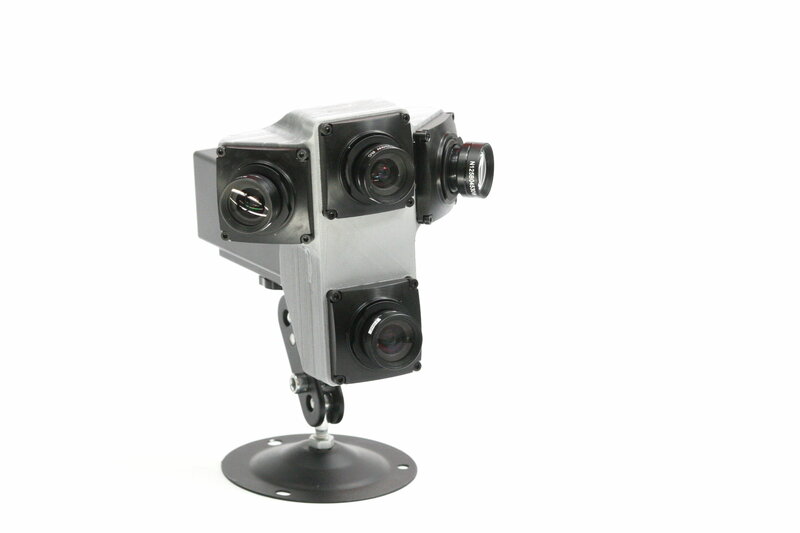 High-precision Inertial Measurement Unit IMU (ADIS 16375, 2400 samples per second) is integrated with the camera, as well as 5Hz GPS (Locosys LS20031) to provide precise position and orientation of the camera. Images, synchronized with IMU and GPS data, can be recorded to internal Solid State Drives (SSD), external swappable SSDs or to a PC over the network. 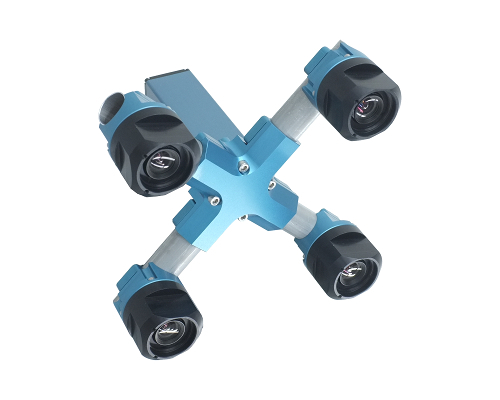 Optionally Eyesis4Pi-393 camera system includes PC for image downloading and post-processing with pre-installed SDK and Free and Open Source Software for camera calibration, image acquisition and panorama stitching. 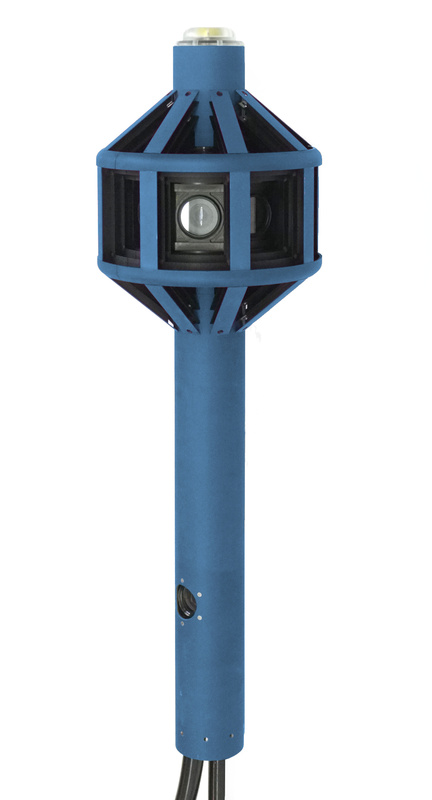 Automated panoramic imagery and 3-dimensional panoramas are the 2 main applications of Eyesise4Pi-393 camera. MNC393. 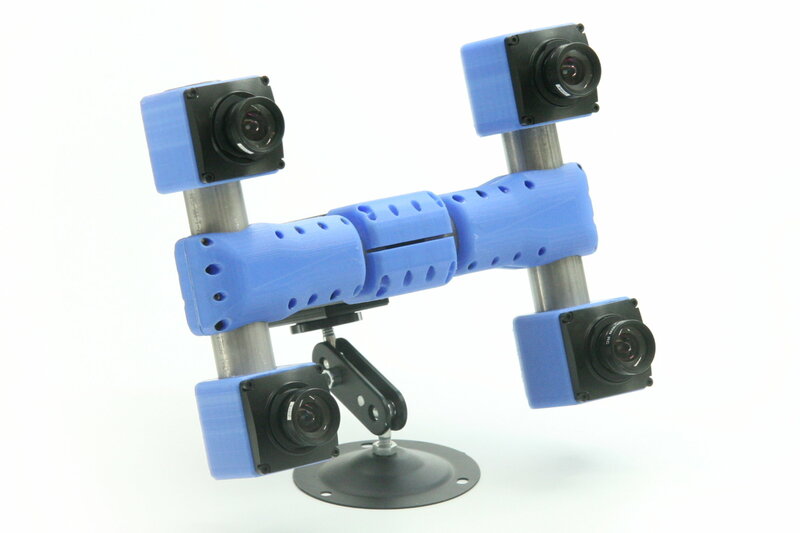 Customizable multi-sensor cameras. Learn more.